Popular Texas singer/songwriter Bob Schneider will be playing two shows tonight at THE KESSLER in Oak Cliff. 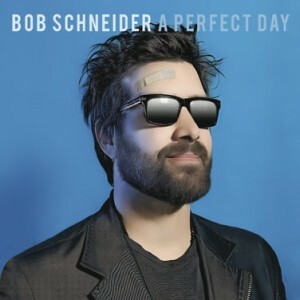 His new album “A Perfect Day” was released April 2011 and you can expect to hear the new songs tonight. Bob Schneider Austin, Texas-based singer-songwriter Bob Schneider returns to The Kessler Theater for two solo acoustic shows to celebrate the release of his new CD, A Perfect Day. A longtime favorite with North Texas live music fans, Bob’s debut at the Kessler sold out both shows. Afterwards, Bob said, the Kessler is one of his favorite rooms he has ever played. Expect another special performance in comfortable and intimate setting of the Kessler. Early show: Doors at 6:00, Bob at 7:00. Late show: Doors at 9:00, Bob at 9:30. “Don’t Tell My Wife I’m a Cult Leader” Cartoon To Premiere At Kessler Theatre On September 3rd, 2011!!! One of the Best New Orleans Bands Is Coming To Light The Sky On Fire Tonight At The Kessler!!! This entry was posted on Friday, April 29th, 2011 at 9:27 am	and is filed under Events, Music, News. You can follow any responses to this entry through the RSS 2.0 feed. You can skip to the end and leave a response. Pinging is currently not allowed. « Huge Mega Bluray Sale At Warner Bros!!! Blurays For Less Than $10.00!! !